Should I hire an Architect or a Builder? Should I buy a home design software and design my house? Why do I need to pay for a professional? Why are building elements not calculated automatically? Usually, people don't realize all the factors and responsibilities involved in the design and building process. This article intends to explain how this process works and offer help with the choices in each stage. 1 - Build a house...but, what house? Take your time to make a program for your project, don't hurry, time management saves money. List the entire family's necessities and activities as a "What we need" list. Then, check sites, magazines, walk around your neighborhood, take pictures and write a second list: "What we want". Start to imagine...and at this point you can take advantage of your Punch Software. Draw what is on your mind, freely. You can draw the entire house or just draw the pieces ("I wish to have a kitchen like this"). Try various options, explore styles, materials...and prices. Now, make a realistic budget as the third list: "What and when we can spend." 2 - Some definitions and facts. A Building Code is a set of regulations established by the local governments that control design, construction, and the materials used in construction. Each county follows a certain Building Code, with its specifications for safety and sanitation. Also, if necessary (mandatory for commercial buildings), ADA norms must be followed. The interpretation of codes and norms is a serious subject and your project must follow these regulations. It is not the same to build a house in Florida or in Texas or in Ontario. Only a professional can evaluate / apply a code, in the same way that only a licensed surgeon can perform a surgery. Architects and Designers, as trained professionals, know how to manage and balance functionality, good design, codes, and budget. In addition, houses need foundations and structures, and the dimensions of these elements are based on calculations. The foundation's calculation, for example, is based on the house's own weight (structure, roofs, furniture, people, etc. ), snow load, special conditions (tornado, seism, etc. ), and the lot's condition (type of soil, resistance, water levels, etc.). An engineer, to certify the structure's safety, must perform these calculations. 3 - A professional? Do I need one? What is the best professional for me? Now you have three lists, "Necessities", "Wishes", and "Financial Resources" plus your design ideas. So, it is time to transform these elements into a real project, including codes, materials, structure, etc. As stated above, unless you have training and experience, call a professional for a consultation. A good (and inexpensive) idea to start this stage is to hire an architect to collaborate in creating a 3D studio model with you. This draft model will combine your design ideas, plus the codes and some design improvements suggested by the architect. Who is the best professional? It is someone you feel comfortable with. Experience and knowledge are very important elements, but prices and flexibility are also significant items. Choose a professional accepting your Punch images as a starting point, but be prepared to explore new and creative ideas. In my opinion (and this is the way that I work), the customer must be a part of the design team, because the project must reflect his / her necessities, wishes, and budget. Now that you have your 3D study model, improved and following the codes. What's next? At this point, you have several options: you can play with your model and add different design alternatives, or you can work with your architect to develop the design. If you are not sure about your ideas, be direct with your architect about how you want the results of your project. Remember, this is the time for all the design decisions, by watching the budget carefully. There are several resources to stretch your budget, take advantage of them: Use intelligent design concepts, use standard and inexpensive materials creatively to obtain visual effects, avoid superfluous circulations, use windows and doors as part of the heating system, don't fight with your lot's characteristics, use them in your project! Note that a professional is trained to help you with these items, so your best investment is a final design review with a trained specialist. Check with him / her at every point: Does the design fit your necessities, wishes, and budget? Are the circulation patterns running well? Are the materials in accordance with your style? Visualize each room, color, texture, light, shadow, etc. With a final 3D model, you will be able to check the project's interferences before the real construction begins. 5 - The project, finally! Each county has its own requirements for approval. At this point, it is a good idea to invite the engineer and the builder to the design team to finalize the construction documents. The main idea is a soft transition between project and construction. In addition, the engineer and the builder may suggest changes to improve the structure, building system, etc. 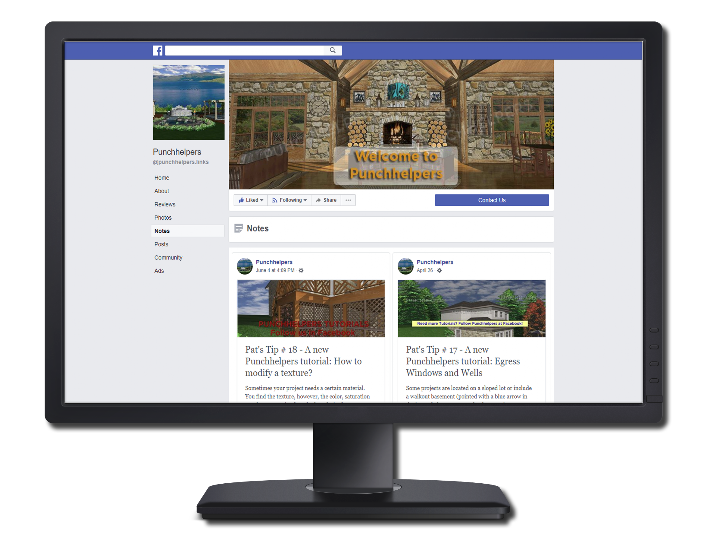 As described, designing and building your home must be a pleasant experience, and you can take advantage of your software in each stage. Making the right decisions (tools, professional, etc.) and following the right steps, is the shortest way to create a unique design: your dream project. 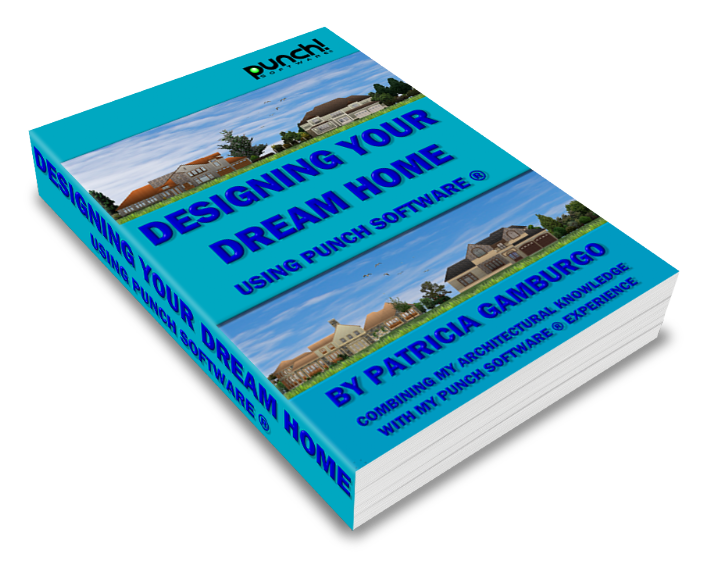 Click on the image to check out the "Designing Your Dream Home" eBook for additional resources! Click on the image to visit my Facebook Page for more Tutorials!